Every acoustic is limited in volume - sometimes you just need an extra kick! Not to mention a good boost when it comes to sound clarity and overall presence. A great way to get all that is by using an acoustic preamp. However, choosing one for yourself can prove to be a difficult task. In the sea of different models, options, features, and specifications, how do you find the perfect one for yourself? What kind of output device are you using? 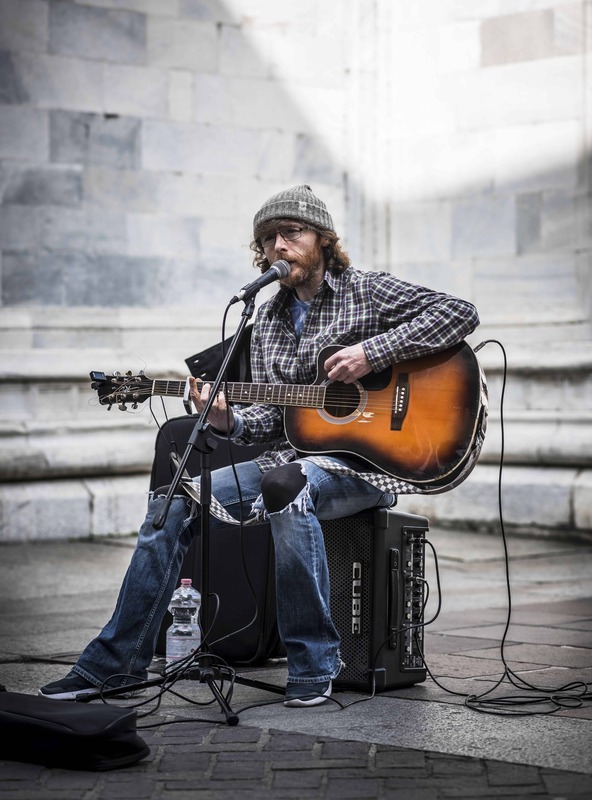 If you plan on playing your instrument through an acoustic instrument amp, you don’t necessarily need a preamp. However, the sound you usually get just by playing through an amp can often be bland and lacks the punch many musicians want. A good preamp will not only give you more space when it comes to shaping the sound, but it will also greatly improve your tone. On the other hand, playing your instrument through a mixing desk practically requires you to have a preamp in the chain. 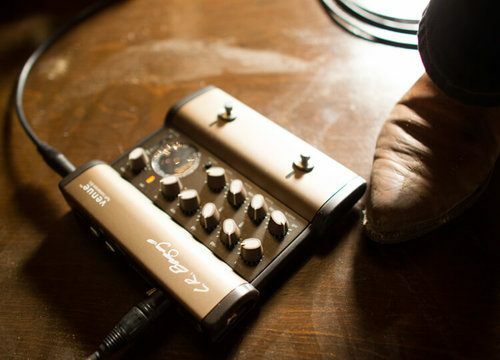 Besides the general need for a preamp as a DI, as a way of connecting to a mixing desk as they usually feature XLR connections, they also provide a great platform for EQ management and tone control. What kind of pickups does your instrument have? Passive Piezo – are usually in a form of clip- on pickups. With no built- in electronics, they pick up the vibrations, but also need higher impedance inputs for good sound. Active Piezo – this means that your instrument has a battery powered preamp, meaning that you don’t actually need a preamp. However, active piezo pickups have a nasty tendency of producing sound most musicians don’t really like. Once again, an acoustic preamp comes to rescue. If you’ve had the chance to play live, or at higher volumes at least, you know the feeling of that unwanted feedback creeping in. 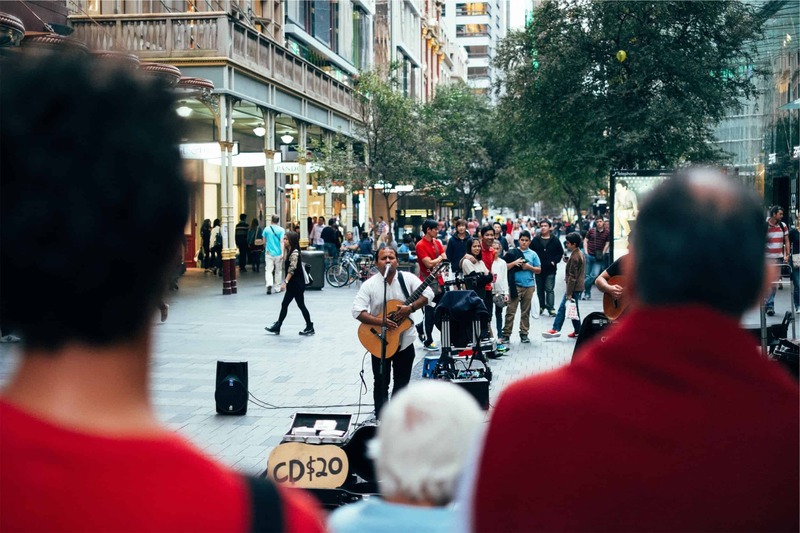 As acoustic instruments need to have a hollow body of some sort in order to produce sound in the first place, they are prone to feedback loops at any higher volume levels. That’s exactly why feedback suppression systems in preamps are crucial. Now that you have a general idea about acoustic preamps, it’s time for us to list our pick of the 5 best ones you can buy. 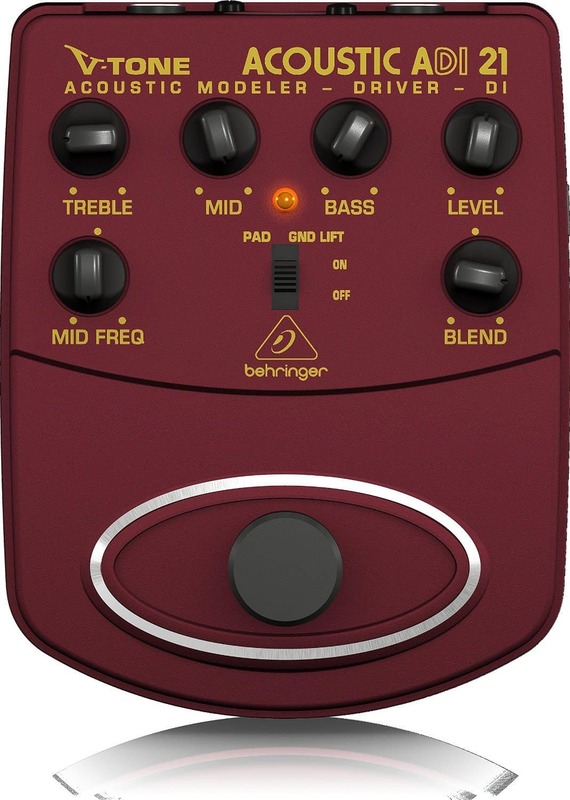 Being one of the more recognizable companies, Behringer manages to, once again, deliver a great product, this time in the assortment of acoustic preamps. The V-Tone Acoustic is a perfect example of an affordable yet powerful piece of equipment. Although it might not be able to stand up to the more expensive alternatives, this model has a lot to offer. Sound modification is done via the standard 3- Band EQ, which also features sweepable mids. Besides the regular controls, there is also a knob for the tube emulation modeling, giving the user some extra space for creativity. Though it may not provide great feedback suppression, it’s definitely a great option for anyone not wanting to spend too much money, or as a backup unit. With the great build and decent sound, as well as standard EQ controls, the V-Tone is a great value buy. 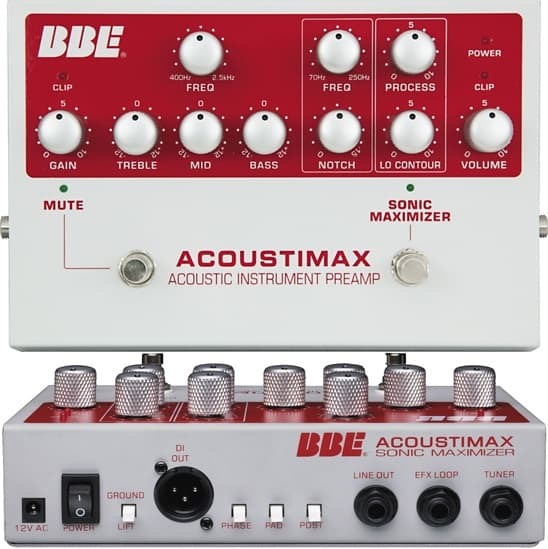 Famous for their “Sonic Maximizer”, BBE, with its Acoustimax acoustic preamp, presents a great option for any musician looking for a solid buy. This model is mostly famous for its ability to dramatically improve the sound of any acoustic instrument plugged in. Both detail and clarity immediately pop out, making this an essential part of any serious musicians gear. Besides the regular volume, gain, and 3- band EQ knobs, you can also tune in the desired frequency range of the output. There is also a low- frequency notch filter perfect for taming that low end. By pressing the main switch, you either turn on the pedal or get true bypass, which many musicians nowadays think of as a must- have in any sort of pedal. On the right-hand side, you will find the Sonic Maximizer switch, providing that extra kick BBE is known for. All in all, certainly a solid choice, if you don’t mind the slightly larger dimensions of this preamp. Receiving praise from many musicians across the internet, the Red- Eye is a boutique pedal which simply performs surprisingly well. Although its looks may suggest otherwise, this preamp certainly stands out when it comes to sound quality. Featuring a simple interface, consisting of just a treble and boost knob, the Red- Eye shows that not everything has to be complicated. By tuning in the blend between these two parameters, you’ll quickly find the sweet spot no matter your style or genre. Besides the standard balanced XLR output, effects loop I/O and the instrument input, this preamp offers a boost switch. The idea behind the boost switch is to provide the user with greater amplification, especially when playing a sick solo. Like the pedal screams simplicity, there is not much else to be said about it. You’ll have to try it and to see for yourself! As this company is widely known for their high-quality pickups, the only natural next step would be designing an acoustic preamp. The Venue not only serves as a great acoustic preamp but also offers a wide range of tone shaping possibilities, as well as DI box functionality. Gain can be adjusted separately, for both passive and active pickups, scoring versatility points for this puppy. As we all know, 3 bands are not always enough, but 5 ought to do it. A good feedback suppression system and a chromatic tuner with a big display for extra convenience on stage rounds this model up as a great choice. 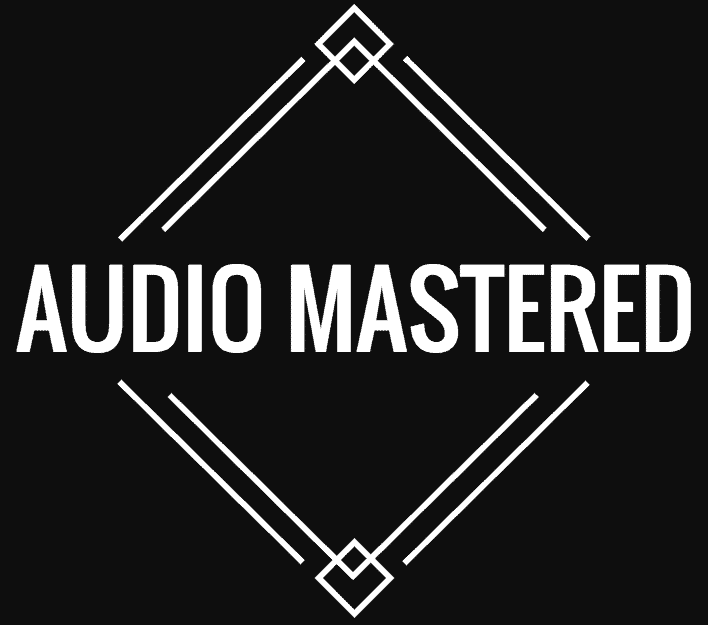 If you’re looking for a preamp capable of delivering high-quality sound, more space in the EQ department, and a bit more, the Venue is your way to go. And last, but certainly not the least, we present to you the Fishman Aura Spectrum. As one of the more popular brands in the acoustic guitar industry, Fisher certainly excelled with this model. Besides the regular pre-amplification and sound shaping, you’ll also have the opportunity to play around with Fishman’s Aura Acoustic Imaging technology. That means a bunch of different guitar/other instrument sounds at your disposal, making this model much more than a simple acoustic preamp. An anti- feedback system is, of course, present, alongside a handy tuner and compressor. If having a bit more features from your preamp is your thing, definitely go for the Aura Spectrum. 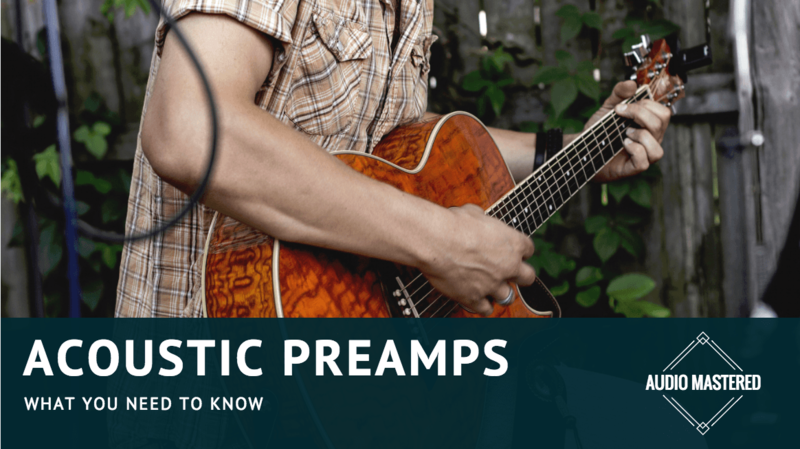 As you’ve seen, there are a lot of different options when it comes to acoustic preamps. Now it’s up to you to choose the one that fits your needs!